There are so many different types of fat out there. Unfortunately, many people experience a lot of confusion about dietary fat, mainly due to the mixed messages from the media. Put simply; providing we consume them in realistic amounts, naturally occurring fats are good for you. This article will take a look at the various varieties of fat, explain what they are and where to find them. We will also review the different foods we can find these fats in. Lastly, we will discuss which cooking oils are the most supportive of good health. Alongside carbohydrate and protein, fat is one of the three macronutrients in our diet. However, “fat” is not one single entity, and there are many different types – and subtypes – of fat. Sometimes people refer to fats as “triglycerides,” which are the primary form of fat in our body and food. Triglycerides are comprised of glycerol and three different fatty acids. Dietary fats have a wide range of biological functions, which we will discuss later. Is Fat Essential For Humans? Fat is essential for our health, but we do not have a biological need for all the different fatty acids. The only essential fats are omega-3 and omega-6, and the reason for this is because our body cannot make them itself (1). As a result, we need to consume omega-3 containing foods such as oily fish, and foods with omega-6, which is prevalent in everything from meat to nuts. Since they are vital for our health, people often refer to omega-3 and omega-6 as essential fatty acids (EFA). Key Point: Dietary fat is one of the three macronutrients and it plays an important role in our health. While you may have heard about “good fats” and “bad fats” before, this is an overly simplified definition. In truth, there are some important considerations to understand. To explain this, we first have to understand that fats are made from carbon (C), hydrogen (H) and oxygen (O). First of all, saturated fat does not contain any double bonds. For example, a carbon atom can connect to four different atoms – whether carbon (C) or hydrogen (H). If a carbon atom connects to the next carbon atom in the chain twice (a double bond), then it will not be able to connect to all the hydrogen atoms it can. Therefore, it will not be fully saturated. As you can see in the image above, the carbon atoms only have a single bond to each other, and connect to hydrogen atoms. This is an example of a saturated fat. The molecules in saturated fats are packed close together, and the fat is solid at room temperature and very heat stable. Just as “fat” is not only one thing, neither is saturated fat. Saturated fat comprises of a wide range of saturated fatty acids, which all have a different number of carbon atoms in their chain. For this reason, some are known as ‘long-chain’ saturated fats and others are called ‘short-chain’. Here are the saturated fatty acids alongside the number of carbon atoms they contain (in the lipid name column). The ‘C’ refers to the number of carbon atoms, and the ‘0’ means there are no double bonds. Notably, different saturated fatty acids occur in various proportions in different foods. Furthermore, all saturated fatty acids have differing effects on our health. Profiling each one is beyond the scope of this article, but it shows us why “good fats” and “bad fats” is far too simple. While many different foods contain saturated fat, it occurs in exceptionally high concentrations in dairy and tropical fats such as coconut oil. Key Point: Saturated fat refers to a wide range of saturated fatty acids. This type of fat is very heat stable. Monounsaturated fatty acids are a type of unsaturated fat which are liquid at room temperature. 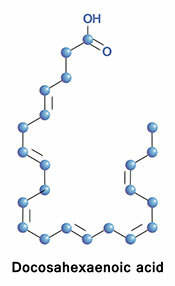 In contrast to saturated fat, monounsaturated fat contains a single double bond between two carbon atoms, as shown in the above image with two lines connecting the ‘C’ atoms. The presence of this double bond means that monounsaturated fat is not fully saturated with hydrogen atoms, and it is slightly less heat stable than saturated fat. However, saturation is not the only consideration that determines the oxidative stability of cooking fat. For instance, phytonutrients/polyphenols in fat can help to prevent oxidative damage and the oil from breaking down (2, 3). This fact is one reason why extra virgin olive oil, complete with all its polyphenols, is much more heat stable than heavily refined olive oils, which are lower in these compounds. Similar to saturated fat, there is a wide range of monounsaturated fatty acids too. The most prevalent of these is called oleic acid, which is actually the most commonly occurring fatty acid in nature. Oleic acid is also the predominant fatty acid in avocados and olive oil, as well as most kinds of meat. The table below shows the full range of monounsaturated fatty acids. The ‘lipid name’ column shows the number of carbon atoms followed by the number of double bonds; carbon atoms:double bonds. The ‘n-‘ number denotes the location of the double bond. It is interesting that most people think of meat as saturated fat. For one thing, monounsaturated fat is the predominant fat in many types of meat and animal fats in general. For example, lard contains 45% monounsaturated fatty acids and 39% saturated fatty acids (4). The delicious ribeye steak also contains slightly more monounsaturated fat (5). This fact is quite interesting because there is a common myth that only saturated fats are heat stable, which is something that many animal fat proponents promote. That said, advocating the wider use of animal fats in cooking is a good thing; they are generally heat stable, but excepting butter and ghee, most do have a higher ratio of monounsaturated fat. Monounsaturated fats are not quite as heat stable as saturated fat, but they are a lot more stable than polyunsaturated fatty acids, which is the next type of fat we will discuss. Key Point: Monounsaturated fatty acids contain one double bond, they are liquid at room temperature, and they are reasonably heat stable. This is particularly the case for fats that contain polyphenolic compounds such as extra virgin olive oil. Polyunsaturated fats are another type of unsaturated fat. 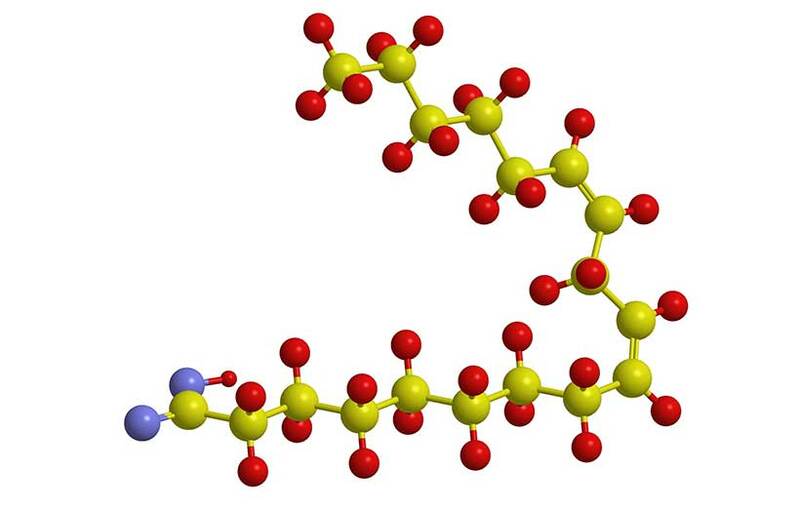 However, unlike monounsaturated fat, polyunsaturated fatty acids have multiple double bonds in their structure. As you can see in the image, there are numerous double bonds between the carbon atoms. For this reason, polyunsaturated fat is the least stable, and it can readily oxidize at high heat. Polyunsaturated fatty acids are also liquid at room temperature. There are three different types of polyunsaturated fat, and these include omega-3 and omega-6 fatty acids, and one omega-9 fat. Omega-3 fats play a vital role in our overall health. There are two primary omega-3 fatty acids; eicosapentaenoic acid (EPA) and docosahexaenoic acid (DHA). These occur naturally in animal foods. Additionally, another omega-3 fatty acid – alpha-linolenic acid (ALA) can be found in various plant foods. Improve the lipid (cholesterol) profile by lowering triglycerides and raising HDL. Help to protect against cognitive impairment and dementia/Alzheimer’s. Fish and seafood are the best sources of omega-3. Oily fish such as anchovies, herring, mackerel, salmon, sardines and trout. * Note that animal foods are the best source of omega-3 since they provide ready-formed EPA and DHA. While plant foods also contain omega-3 fatty acids, they are in the form of ALA, which is not bioavailable and requires conversion to EPA and DHA inside the body. Unfortunately, conversion rates are unreliable and can be as low as 0-4% (9). Generally, we aren’t getting enough omega-3, and we should look to increase our consumption of omega-3 fatty acids. Key Point: Omega-3 fatty acids are anti-inflammatory in nature, and they are a type of polyunsaturated fat. They are not heat stable, but they provide many important benefits. Omega-6 is also an essential fat, and it is vital for our health. First, the function of omega-6 fat in the body is the polar opposite of what omega-3 does. While omega-3 has an anti-inflammatory mechanism, omega-6 fats are pro-inflammatory; i.e. they encourage inflammation. This description may sound scary at first, but a little inflammation is no problem. It is good for us. Without inflammatory processes in our body, we wouldn’t be able to heal from even little cuts and wounds. However, an excessive intake of omega-6 fatty acids could lead to an imbalanced omega-6 to 3 ratio, which is something many current research projects are investigating. To provide an idea of this “imbalanced” ratio; historically, it is thought that the traditional human diet had an omega-6 to 3 ratio close to 1:1. Conversely, the modern American diet can be as high as 20:1, which may lead to an increased risk of damage from inflammatory processes (10, 11, 12). The following list shows foods high in omega-6. However, most people are overeating omega-6 now, and the fat is present in almost all foods. Due to this, there is no real reason to seek out foods high in the fat specifically. Vegetable (seed) oils such as corn, grapeseed and soybean oil. Key Point: Omega-6 is an essential fat, but most people are consuming too much of it these days. Omega-6 is a type of polyunsaturated fat and it is not heat-stable due to multiple double bonds. Trans fats can be either natural or man-made in origin. A type of trans-fatty acid occurs naturally in animal foods called conjugated linoleic acid, and this fatty acid may have some positive health benefits (13). However, artificial man-made trans fats are a different matter. Trans fats are unsaturated fatty acids (often cottonseed or soybean oil) which undergo a hydrogenation process to make them appear like saturated fat. Some examples of trans fats include vegetable shortening and margarine, which are both solid in texture. Initially, researchers saw potential benefits from this hydrogenation process such as better shelf-life and more stability at high heat. However, the problem is that these artificial fats were so different from anything in nature that our body did not know what to do with them. In short; the molecular structures are arranged differently and they appear foreign to our body. As a result, they are unstable, they can readily oxidize, and they can cause (and did cause) a significant number of health problems (14, 15, 16). In fact, industrial trans fats are strongly associated with severe health problems such as insulin resistance, type 2 diabetes, cardiovascular heart disease, cancer and more (17, 18, 19). Fortunately, if we focus on fresh and healthy whole foods we can avoid trans fats without having to think about it. If you buy packaged foods, give the label a quick scan for any mentions of ‘partially hydrogenated’. Key Point: Trans fats are an industrial product and one of the worst things we can possibly eat. Avoid this type of fat. Which Oils and Fats Have Good Oxidative Stability? As discussed, saturated fats are the best choice for cooking at heat. They display excellent oxidative stability and are highly resistant to heat-induced damage. The most saturated of all fat is coconut oil, which is possibly the best choice for high-heat cooking. Sustainably sourced red palm oil is another tropical fat that has excellent oxidative stability. Extra virgin olive oil (EVOO) is the king of plant fats. Compared to vegetable (in reality: seed) oils, it has minimal amounts of polyunsaturated fat. EVOO predominantly contains the monounsaturated fat oleic acid. Other plant fats that are relatively stable at high-heat include regular olive oils and avocado oil. A recent trial by an independent laboratory heated a variety of cooking oils to a temperature of 240°C for 6 hours to test their oxidative stability. As shown, extra virgin olive oil, avocado oil and coconut oil are all great options; they contain the lowest trans fat levels after heating, and they form the lowest number of polar (toxic) compounds. Nut oils (such as macadamia and peanut) are also reasonably heat-stable options, but not as good as the aforementioned ones. Key Point: The healthiest, most heat-stable fats for cooking include animal fats, avocado oil, coconut oil and extra virgin olive oil. Since they have the least oxidative stability, we want to ideally avoid or reduce our intake of omega-6 polyunsaturated vegetable oils. This type of fat is not suitable for use at heat. Canola, grapeseed, rice bran, and sunflower oils all contain significant amounts of polyunsaturated fat (PUFA). Therefore, it is not surprising to see that they have the least oxidative stability and form the most polar compounds. If you look at the best cooking oils on the table – coconut oil and extra virgin olive oil – we can see that they both contain minimal amounts of PUFA and create the lowest number of polar compounds. One particular fat which did not feature in this study is soybean oil, which is also extremely high in omega-6. Key Point: Cooking oils that are high in polyunsaturated fatty acids are not heat-stable and they can easily oxidize. Dietary fat can affect our health in many ways, and it can either be beneficial or detrimental depending on the type (and quantity) of fat. Saturated and monounsaturated fats are the most heat-stable. Polyunsaturated omega-3 and omega-6 fatty acids are essential, but they are not suitable for cooking at heat. Most of us consume too much omega-6 and need to get more omega-3. Trans fat has no place in the food chain (or our bodies). The best cooking fats are coconut oil, animal fats, and extra virgin olive oil. We should avoid varieties of fat that are high in polyunsaturates for high-heat cooking. Saturated fat is not harmful like once thought, but that doesn’t mean we should consume it in unlimited amounts. Other than that, dietary fat helps our body to absorb fat-soluble vitamins and it makes our food taste delicious too. Thanks Wendy, glad you found it useful.